So you’ve been moving around on the internet to find out which eCommerce platform or framework will work best for your online store, right? No matter what are your requirements, whether you wish to set up a whole new web store or wish to migrate your existing online store to any other eCommerce framework, it would be quite difficult to find the right solution that fulfill your business needs & deeds, and that’s where Magento comes into the picture. 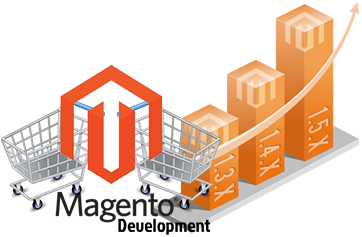 Today, businesses across the world go for Magento development services to leverage from its out-of-the-box features. Being used in more than 20% of the eCommerce website and online stores, Magento has become one of the most popular and extensively used eCommerce platforms across the world. There is no deny that there are plenty of eCommerce platforms or solutions, such as Shopify and BigCommerce, that are quite popular among the developers, but none of them offer such high functionality to the online store owners or developers. Magento theme development, Magento module development and hire Magento developer are the few services businesses are leveraging to boost up their online presence. The chart showed below indicates the amount of websites within the top 10k, 100k and 1 million sites groups that are categorized being in the specific business vertical. So, what are the reasons behind such an immense popularity even after five years of its launch? What are the things that attract more ‘n’ more businesses towards it? Let’s find out the reasons. Samsung, Ford, Fox, Olympus, Lenovo, Men’s Health, Vizio, Nike, Nestle, Kiping – These are some of the biggest brands across the world that trust Magento. Magento has become a brand name. Magento features everything that will be needed to develop and run a successful eCommerce website right from the out of the box functionality, which is impossible for any other eCommerce platform to offer. No other eCommerce platform has as many themes or modules as Magento. There are more than 1900 Magento commerce themes available to download in Magento connect and a lot more new themes or modules created each day by the developers. Moreover, you can go for custom Magento theme development or custom Magento module development to get your personalized theme or extension as per your business needs & deeds. Open source platforms are one of the most creative products in the world. Like any other open source platforms, Magento has also a huge community of developers and enthusiasts who are working hard to improve its performance and make it more usable for the businesses. You can attract customers or visitors to your website through many different ways, but search engine optimization is one of the most successful ways through which you can attract maximum number of users. Magento is 100% SEO-friendly. These are a few reasons that make Magento world’s leading eCommerce platform. Do you have more reasons in your mind? Share your views in the comments…!